Unlike most books that chronicle the history of Native peoples beginning with the arrival of Europeans in 1492, this book goes back to the Ice Age to give young readers a glimpse of what life was like pre-contact. 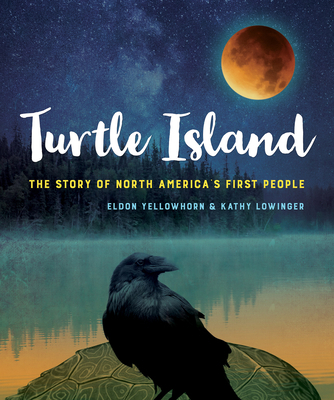 The title, Turtle Island, refers to a Native myth that explains how North and Central America were formed on the back of a turtle. Based on archeological finds and scientific research, we now have a clearer picture of how the Indigenous people lived. Using that knowledge, the authors take the reader back as far as 14,000 years ago to imagine moments in time. A wide variety of topics are featured, from the animals that came and disappeared over time, to what people ate, how they expressed themselves through art, and how they adapted to their surroundings. The importance of story-telling among the Native peoples is always present to shed light on how they explained their world. The end of the book takes us to modern times when the story of the Native peoples is both tragic and hopeful.